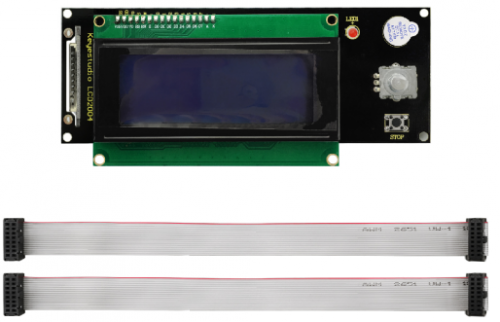 Keyestudio LCD2004 3D module includes a SD card reader, a rotary encoder and a 20 character * 4 line LCD. When this control panel is connected to RAMPS 1.4, you don’t need your PC anymore. The smart control panel supplies power for your SD card. 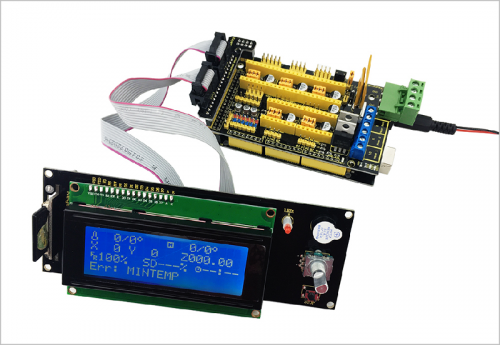 Further more actions like calibration, axes movements can be done by adjusting the rotary encoder on the Smart Control panel. With g-code design stored on the SD card, you can print your 3D designs without PC. 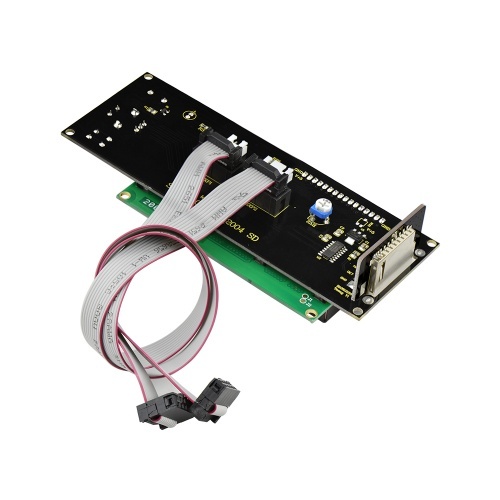 Connect the LCD 2004 3D module to RAMPS 1.4 control board, after programming the MEGA 2560, the LCD screen will pop up the test data. This page was last edited on 24 April 2019, at 16:19.